Luminous with classic beauty, this lovely bouquet of twelve perfect roses truly expresses all you have to say. A most wonderful and unexpected surprise! 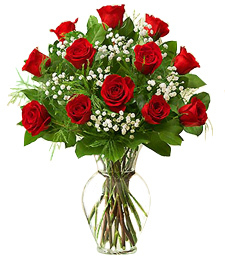 Upgrade to 18 beautiful roses! Make an even bigger statement this time!